venison or Highland grouse for dinner. 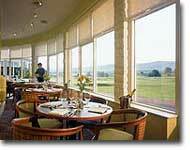 This is only one of the themes that runs through the superb food at Gleneagles. or eat simple salads or lighter meals at one of our bars. 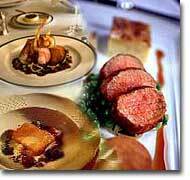 Each has its own style but the hallmark of every one is freshness and flavour. wine cellar and for the quality of service in each of the resort's four restaurants. fine wines to complement your menu. very best of Scotland's larder with a touch of the unexpected. selected French cheeses and Scottish-grown herbs. famous Rungis market outside Paris as well as from local Scottish suppliers. providing the view. Good honest grills are the specialty. The place to be to enjoy a fun, action packed dining experience. itself as the alternative for breakfast, lunch and dinner. and authentic Italian pastas touched with a scent of the Mediterranean. 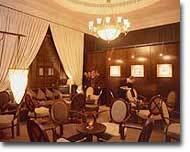 The Resort has a selection of bars where guests can relax and enjoy an extensive range of beverages. Each bar contains a selection of Scotch whiskies, including Royal Lochnagar and the Classic Malts. A whisky trolley, featuring 50 rare malts including single cask dated whiskies, is popular with guests. 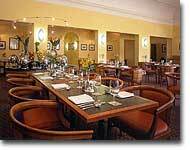 You don't have to stay at Gleneagles to enjoy our restaurants.